The Self-Transforming School combines an insightful meta-analysis of factors contributing to the success of schools, and an examination of powerful mega-trends that are shaping developments in education, to offer the first mega-analysis in education policy and practice. 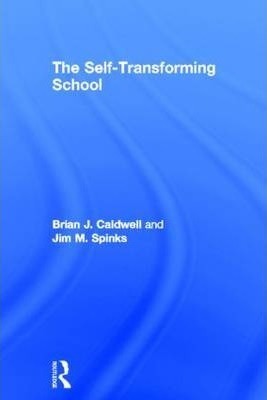 The book spans fifty years, beginning with Caldwell and Spinks' ground-breaking work The Self-Managing School which advocated innovative approaches that are now accepted as preferred practice, before offering a prognosis and plan for the future. -funding is critically important, and efforts to build a capacity for self-transformation are constrained by what is available. The book gives particular attention to developments in Australia, Brazil, Canada, England, Finland, Hong Kong, India, New Zealand, Shanghai, Singapore and the United States. It will be of key interest to school leaders, policy makers, and academics and postgraduate students engaged in research on equity, student performance in highly disadvantaged settings and education policy. Brian J. Caldwell is Managing Director and Principal Consultant at Educational Transformations, Australia, and Professorial Fellow and former Dean of Education at the University of Melbourne, Australia. Jim M. Spinks is Director of All Across the Line and a former school principal who consults widely on student-focused planning and resource allocation, both in Australia and internationally.